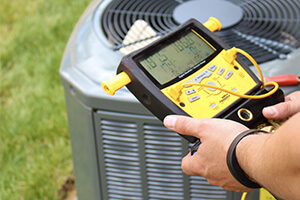 Your home’s heating and air conditioning systems can make or break your indoor comfort. If you can’t keep the house warm in the winter or cool in the summer, it can affect your mood, your health, and so much more. When you need a reliable HVAC technician to service your heater or AC, trust Neighbourly to point you in the right direction. A skilled Neighbourly HVAC technician can also help you with ventilation, humidity control, air filtration, and other air quality services.